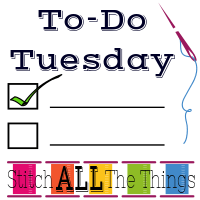 Welcome to To Do Tuesday August 9 hosted by Christine over at Stitch All the Things! 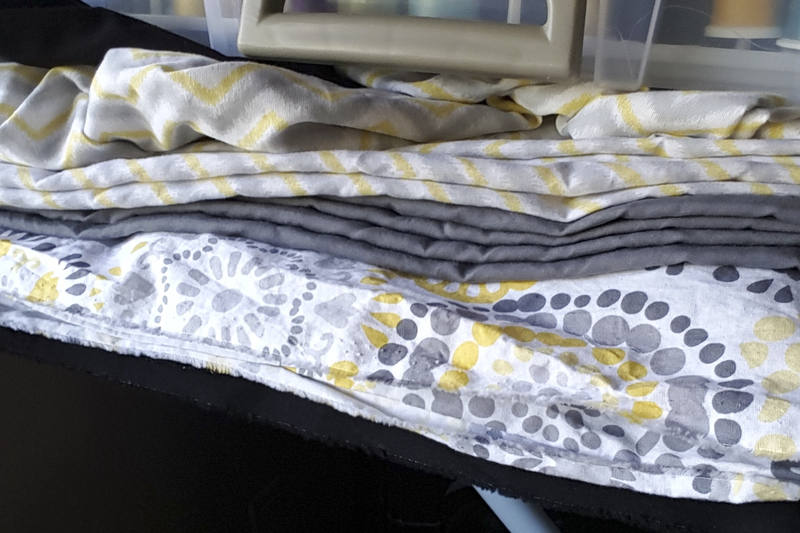 Mid-week, I rearranged my list a little bit again, but all I did this time was change back to making a bodice sloper for August instead of Hat & Mask Making. In addition, I added a large project to my list, and I fully expect it to take two weeks. I was able to get a bunch of work done last week, and as a result, I have several things finished or ready for updates. I was actually able to finish two Union St Tees, and I think I have found my new favorite, go-to t-shirt! I have only made the v-neck option, and now I have four versions of it. It is comfortable and still a nice enough t-type shirt that it can be worn to work. I decided not to do the size-down/FBA option with these versions, and I am happy I didn’t because they fit great! I think the first were just fluke fabric weirdness. The Union St Tee is a quick project, and it has been a fabulous way to use up some of my stashed knits. 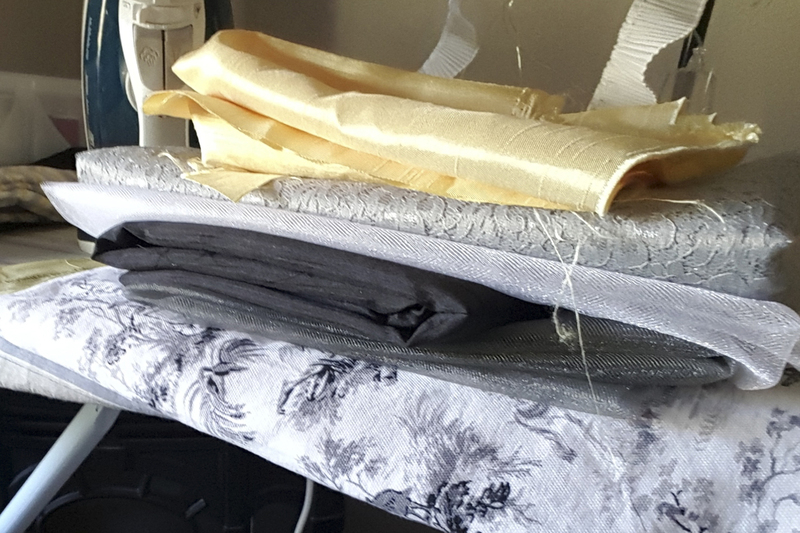 I am on a self-imposed fabric buying moratorium until I can reduce my stash and make the “pending” projects I have stored. I did not get this shirt made mostly because I ran out of time, but also because I accepted a large testing opportunity and it has taken my focus. Reagan and I ran across this picture, and she thinks it is absolutely adorable and wants one for herself. 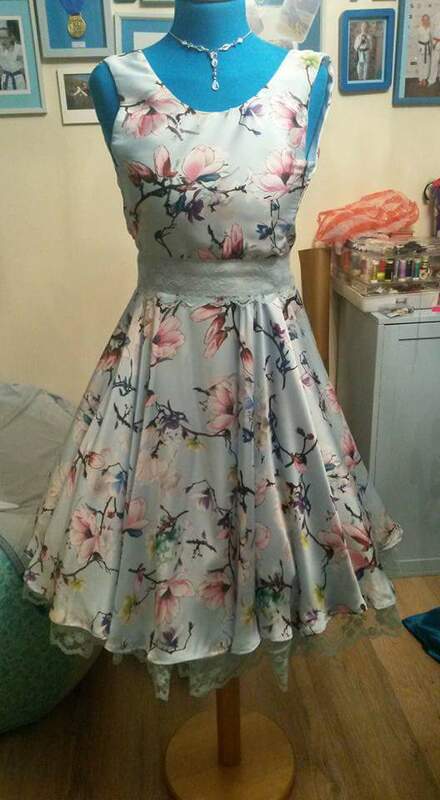 The lady who made the dress drafted the bodice herself and added a circle skirt. That is is what I decided to do, as well. I think it fits perfectly with my TSNEM project. I made the sloper this weekend, and I followed the instructions very very carefully; however, the muslin I made fits very poorly, so we are starting over at least part way and trying again. 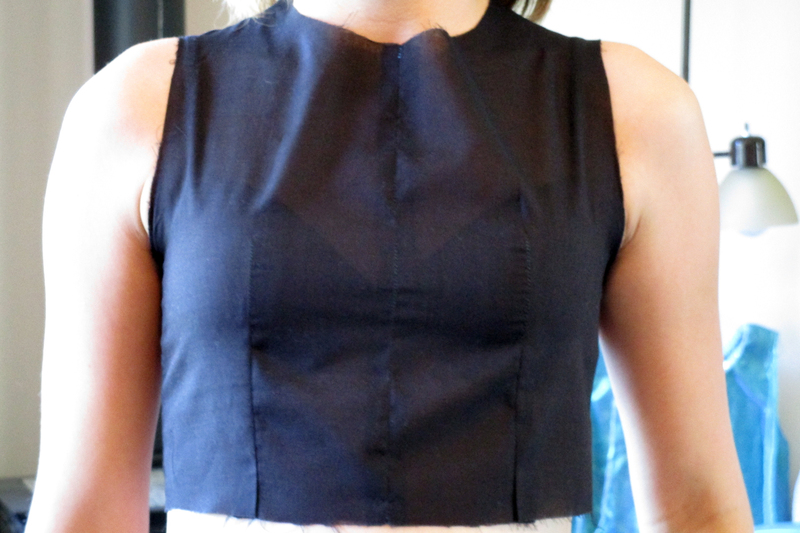 You can see on the pattern where I marked the changes that need to be made – dropping the dart, fixing the arm scye, and adjusting the neckline. I am actually going to drop the dart more than I marked it on the pattern, so we will see how the next one turns out. 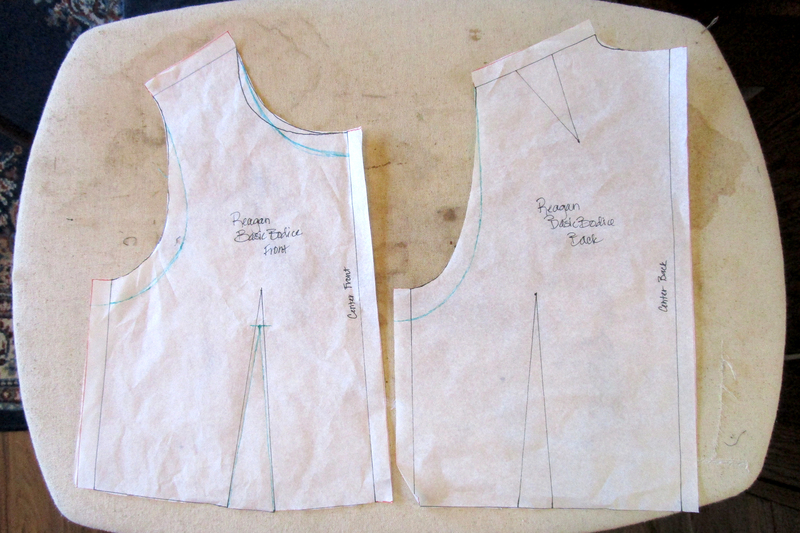 Once we get the bodice fitting correctly, I will draft and add the circle skirt. I didn’t make any progress on this project, either, and to tell you the truth, I’m kind of over it. Life is so busy right now, I am not sure that I even care whether or not I have a short sleeve shirt to wear. I agreed to test a capsule wardrobe using five patterns from a designer. It is a children’s pattern, so I am adjusting them a little and making Reagan a capsule wardrobe. She looked at all the patterns available to use, and chose to make three different versions of the skirt pattern, one jacket, and a couple tops. Her chosen color palette is gray, white, yellow, and black. I am having so much fun putting them together for her, I can’t wait to see the wardrobe finished! The really nice thing about this project is she is getting some great new school clothes, and the colors she chose go well with a lot of stuff she already has in her closet. Double win for us! One last thing I have added to my list for the week, but I haven’t started making are two costumes for the local Opera House’s production of the Little Mermaid. The costumes I am making are both for Ariel – one is for the transformation when Ursula transforms her into a human, and the second one is for the scene right after that on the beach. I need to make a cheese-cloth type of tail for the body-double Ariel to kick off during the transformation. I am going to use a post from Falafel and the Bee as a guide for Ariel’s sail dress. This is a great stash-buster for me because I have a huge amount of yardage that will be perfect for it. I have tons (like probably 50+ yards) of white organza left over from Emma’s wedding that will be perfect for the tail that gets kicked off. You sure have been busy with garments! Can’t wait to see what you come up with for Ariel. Sounds so creative! Thank you! I love sewing garments! I am finding, though, that I really like quilt making, but I really need to learn some patience. Wow, I really love those t-shirts! 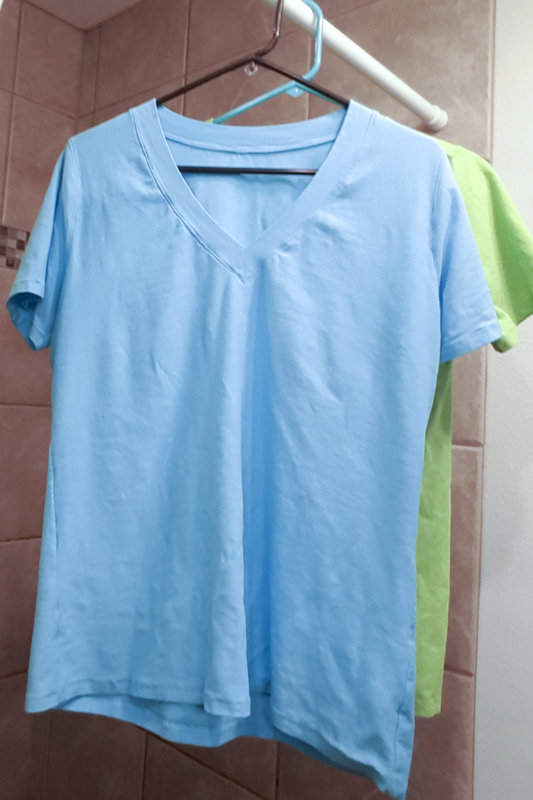 I have one v-neck that I have worn thin, but it’s the only v-neck I like that fits me well. These look really similar to it. I will get this pattern and try to find some good knits to make them with. Thank you! 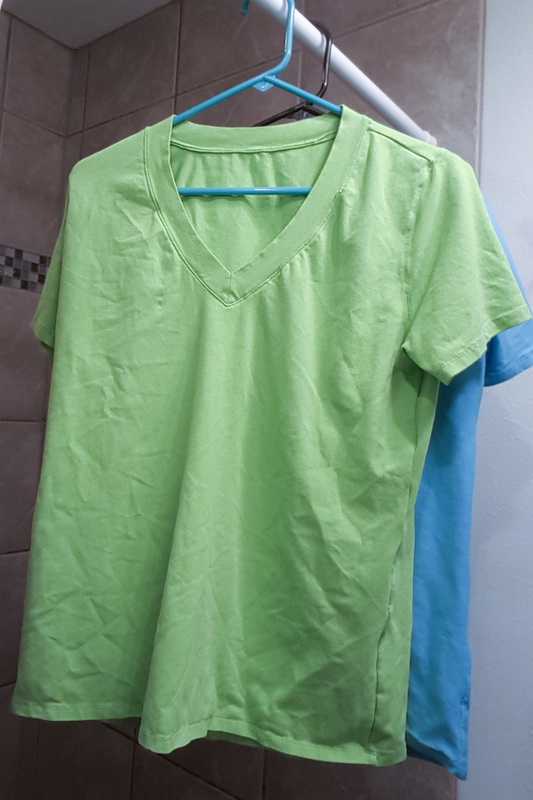 It really has become my go-to shirt, and I prefer v-necks. The instructions for sewing the v-neck band are fabulous (this is the first v-neck pattern I’ve made)! I made one out of some looser knit, but have found that the thicker cotton/lycra is working and fitting the best. The pattern does have a crew neck version, as well, but I haven’t made it yet.